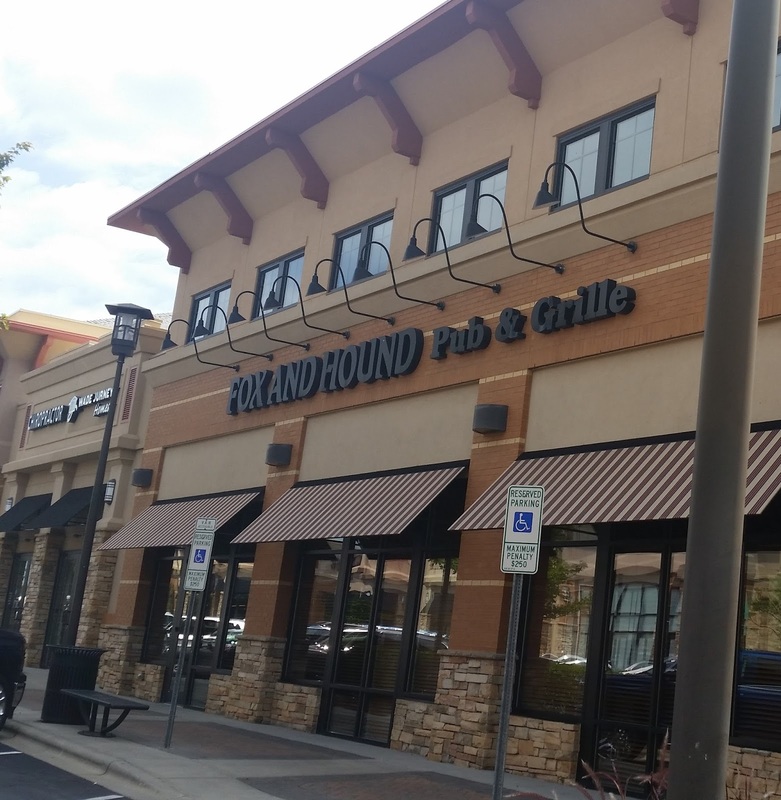 This edition of Excited about Eating takes us to the Northlake Mall area and to Fox and Hound Pub & Grille. 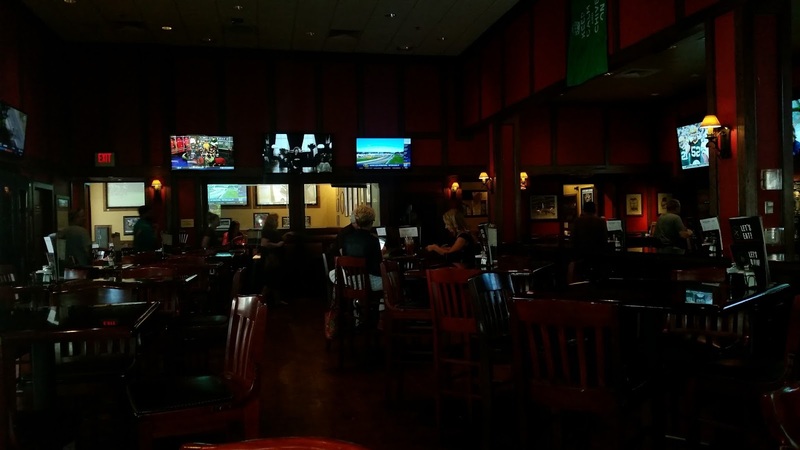 This tavern features typical sports bar food, including chicken wings, fish n chips, and burgers. Because of that, service was attentive and the food arrived before I guzzled half my iced tea. The Biergarten pretzels, two baked and salted Bavarian-style pretzels with a side of queso were soft, not overly salty, and the queso kicked in a good way. 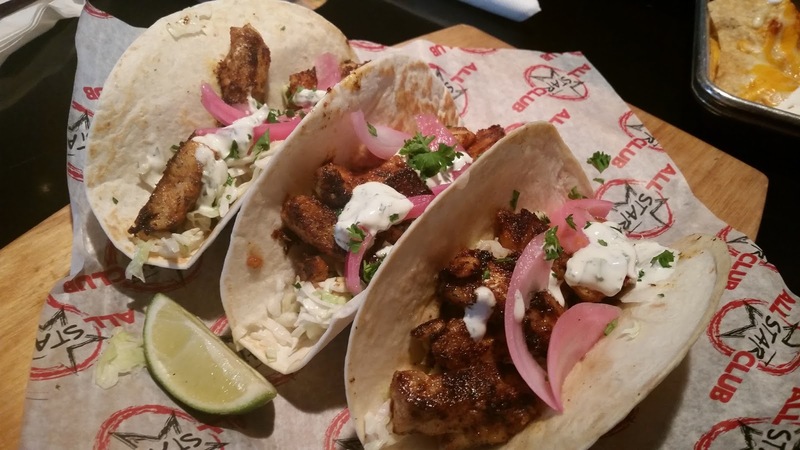 I ordered the Blackened Fish Tacos, cod fillets with coleslaw, cilantro-lime sour cream and pickled red onions. These tacos were great. The spices on the fish and the freshness of the coleslaw caused the whole taco to work together. My only regret with these tacos is the cilantro-lime favor should be more prominent. Dora here. I. Love. Chili. So if a restaurant offers chili nachos on a menu, I’m all over it. But these Nacho Muchos were mucho on the cheese, slim on the chili. No layers of flavor, in some spots globs of cheese. 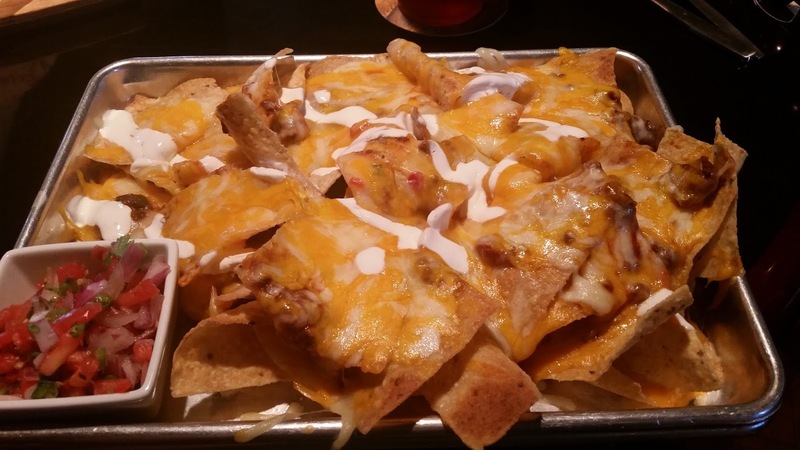 Cheese lovers will be in heaven with this nacho platter, but I prefer a bit more…beef. I salivated over tasting the lime sour cream, but that didn’t materialize. Overall, good nachos, but didn’t quite quench my chili taste bud. You guys never fail to make my stomach grumble with your posts.. Enjoy following your food posts. The pretzels look delicious. Thank you, Ann! 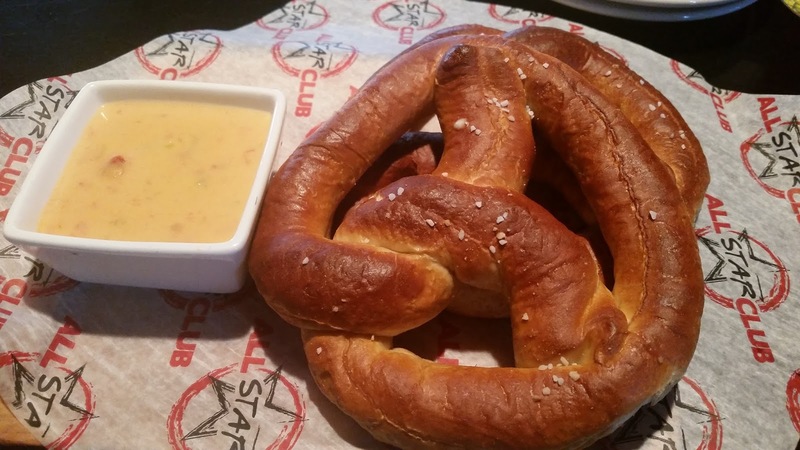 I'm a huge pretzel fan, too. Yum! Thanks Floryie, we enjoy so much doing the review. Thanks Ann, you are correct, the pretzels were delicious.